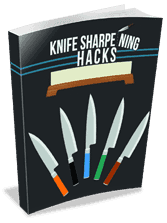 So you’ve put in some time and money shopping for a nice kitchen knife set. 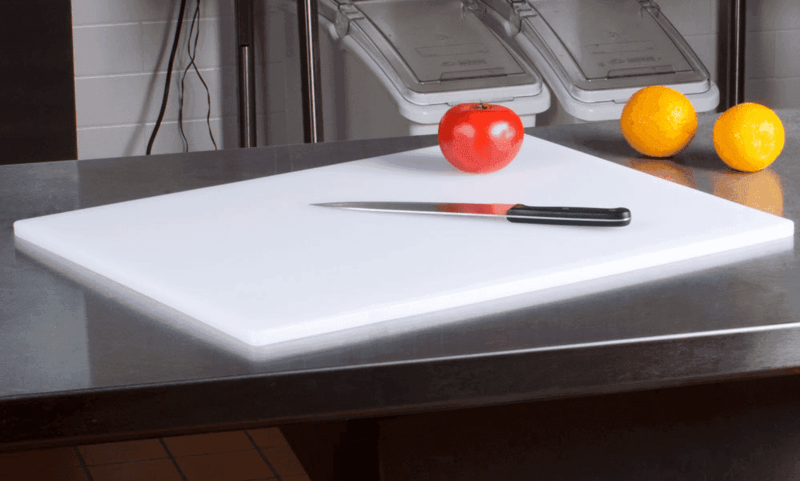 Aside from your technique and the food you are cutting, cutting boards have the biggest impact on your knife performance and edge retention. 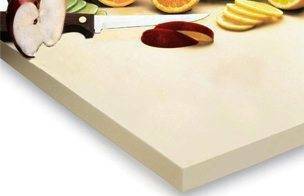 Your knife can cut into boards that are too soft or even worse, sink in and twist at the edge, resulting in dulling or chipping. 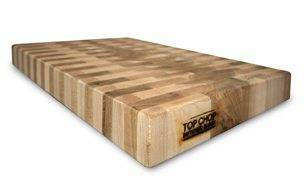 Boards that are too hard can chip your knife even if your knife skills are good. 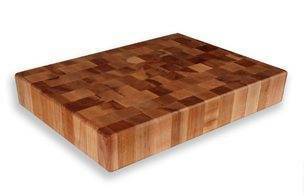 End Grain 15 x 15 x 2"
Rubber 18 x 24 x 1/2"
End Grain 16 x 18 x 2"
I will guide you through the common cutting board materials and construction and share some of my favorites at all different price points. 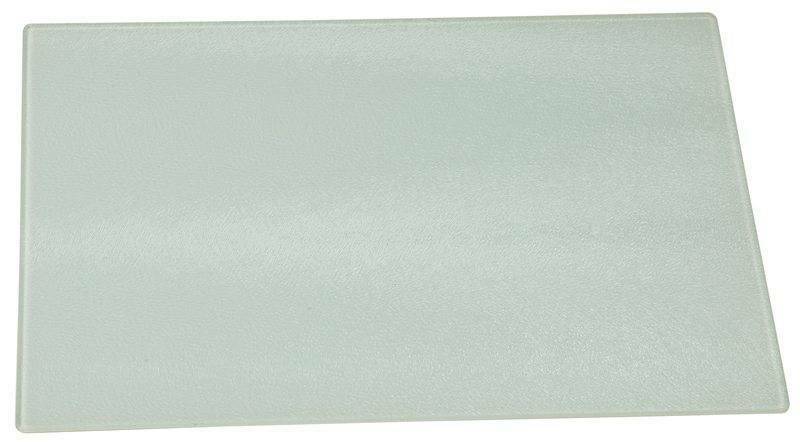 The best cutting board material, it’s beautiful, and it doesn’t damage your knives. This is the best of the best. 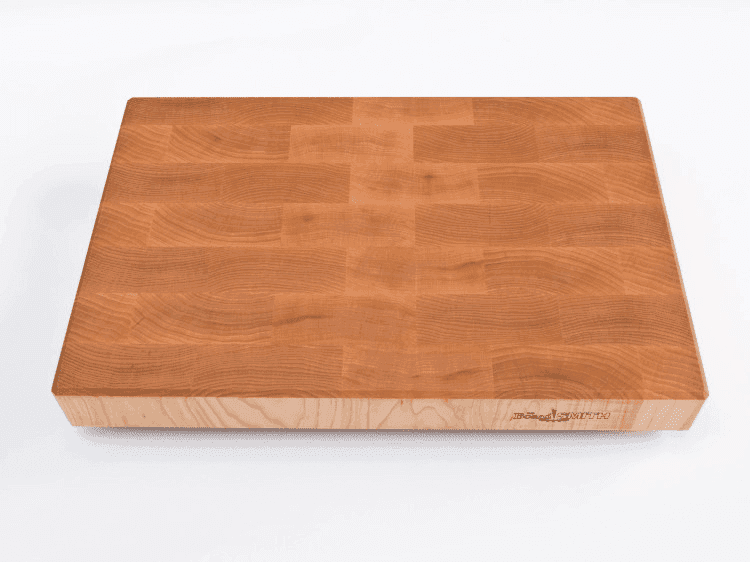 It’s pretty and reminds you of an old school butcher block. The magic of the end grain block is that the grain of the wood, the fibers, are going up and down. It’s like if you had a bundle of straws. Laying them sideways and cutting into it is what an edge grain board is. An end grain board is if you have the straws all standing up. When you cut, it pushes them apart, but they come back together and ‘self heal’ for the most part. This type of construction requires more work than edge grain and it results in thicker butcher blocks. This kind of board really lets woodworking craftsmanship show through. 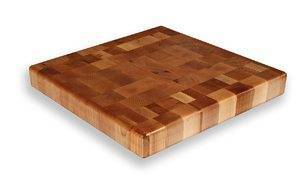 I recommend looking for end grain boards made of hardwoods with tight grain like maple, cherry, or walnut. Look for larger blocks glued together rather than many small blocks. 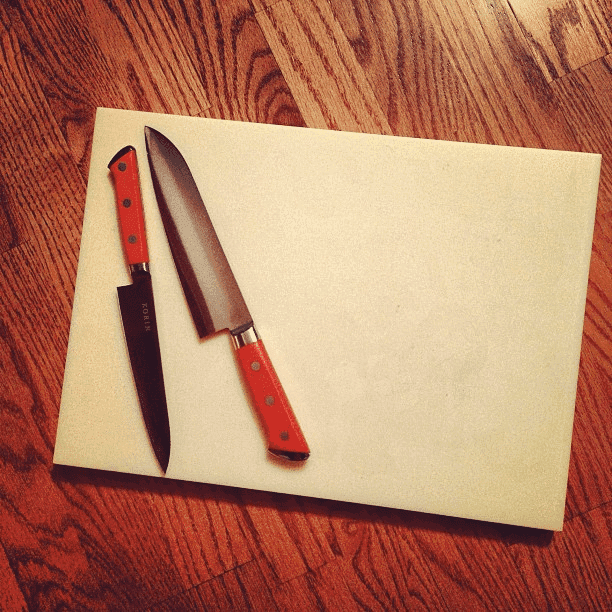 Of all the cutting boards it dulls your knife the least. The downside is you can’t just throw it in the dishwasher or even leave it in the sink. If you are looking at boards for a restaurant setting, wood is out because you can’t sanitize it enough to satisfy the health inspector. The wood itself absorbs moisture, which should kill some bacteria, but don’t rely on that. To clean, you can scrub and wipe with salt, vinegar, or lemon. If you do use soap and water, make sure to dry the board thoroughly and don’t let it sit in water. My favorite end grain board is made by Boardsmith. He uses a brick layer pattern that is less likely to split and adds feet under the board so it will never sit in a puddle. Prices vary depending on the wood, size, and pattern. Basic maple board runs around $120 at the time of writing. Bigger boards, cherry, or walnut all cost more. There is a more affordable Michigan Maple block on Amazon. It doesn’t have the brick pattern, but it still uses large blocks of wood which is nice. I rank edge grain wood boards above rubber but below end grain. The wood is simply cut lengthwise and glued together. They require less time and material to craft compared to end grain, making them a more affordable option if you are on a budget. Unfortunately, they are more prone to splitting where glued and getting cut with knife marks. The maintenance is similar to end grain but you will likely have to sand it down and re-oil more often. I’m no plastic expert, and there are variations some are harder and denser. I haven’t tried them all so I am only going to discuss the one I like specifically. I think this is one of the best wood alternatives. It’s easy on your knife edge, easy to clean, and you can even sand it down if you cut into eventually. Korin sells a bigger size to sushi bars, but also has the same material available in a home cook size. I use this exact model at home for cutting meat or fish because it is easy to clean. This is the board I bring to off site catering events instead of my 20×20” very heavy wooden butcher block. Much like the PVA board above but denser and heavier. In particular I want to share the one made by “Sani Tuff”. It’s a little more expensive than PVA. The Sani Tuff brand is more well known and carried in a lot of restaurant supply stores. It’s a standard plastic cutting board. Most restaurants use this. Most homes will have this. They are cheap and widely available. Even your local supermarket will all carry this type of board. It is easy to sanitize in a restaurant setting, keeping health inspectors happy. The downside is it is too soft and your knife can cut marks into it. Bacteria will grow in those grooves. It will absorb smells and look gross over time, but you can buy a new one to replace it for $12 so it’s okay. At first glance it sounds like a good idea. Bamboo is awful for your knives. It is not a wood, it is actually a grass. Bamboo board construction involves shredding the bamboo down and shaping it into a board held together by glue. The glue cures into a very hard material that chips your knife. No bamboo please. Nobody should use this. Expensive or cheap, hard or soft steel, all knives will dull and even chip on a glass surface. It’s for people who like form over function; you’ll find this in homes where they don’t cook. The sounds of metal on glass will make your neck hairs stand up. Trust your instincts and stay away from glass. Same problem as glass, it is too hard and damages steel knives. Some kitchen renovators like to throw in a piece of leftover counter material as a cutting board. It’s nice that it is camouflaged into the counter, but no thanks. Use stones for pastry work, not cutting. 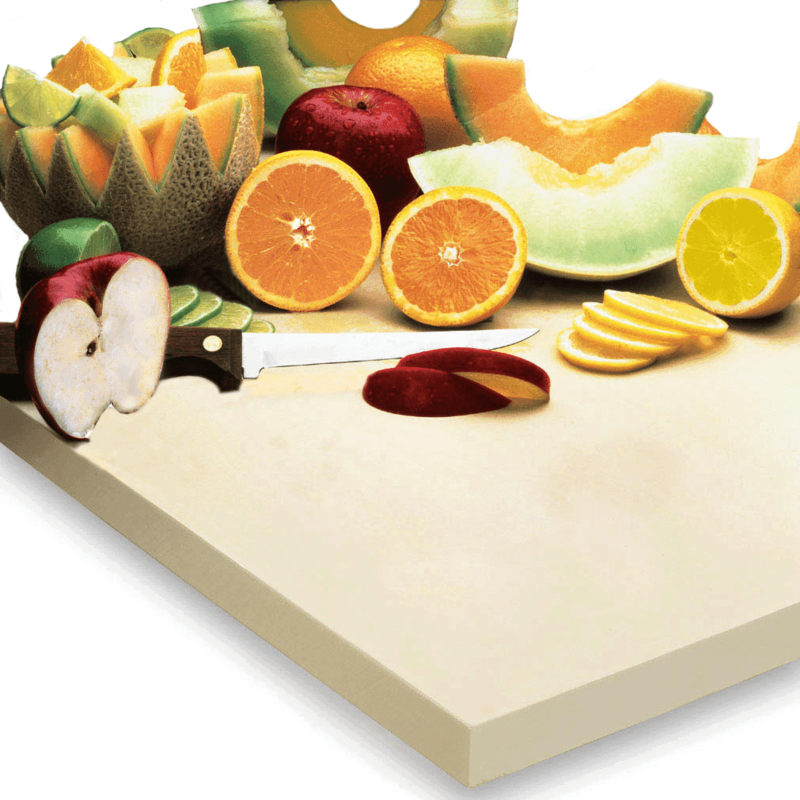 Even the best cutting board need to be maintained properly. About once a month, or whenever it looks dry, I will wipe the board down with mineral oil so the wood doesn’t dry out. Mineral oil, made from petroleum is preferred over food based oils which will go rancid over time. It’s important to use a pharmaceutical or food grade mineral oil since some of it will be in contact with food. The board butter is also great for wooden spoons and knife handles. This is the mineral oil I used, the beeswax is from a friend’s apiary: Swan Mineral Oil.